Includes handy reference pages, vinyl zip pouch, monthly calendar pages, address & phone directory, 24-sheet lined note pad, business/credit card holder, supply of undated calendar pages, and personal information section. Write in it, carry it with you, watch details fall into place. Add a Special Personal Touch! 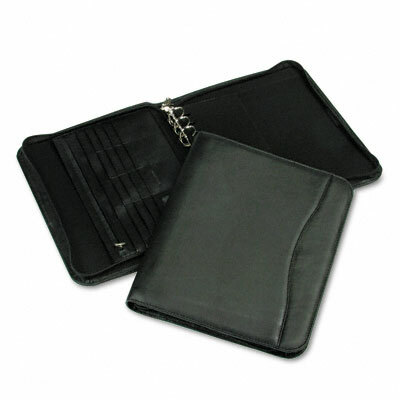 Personalize your new binder or wallet with a custom-engraved brass plate. Includes… Handy reference pages Vinyl zip pouch Monthly calendar pages Address & phone directory 24-sheet lined note pad Business/credit card holder Supply of undated calendar pages Personal information section Write in it, carry it with you, watch details fall into place.